On this week’s Social Media Marketing Talk Show, we explore Facebook Adding New Tools to Manage Your Time on Facebook and Instagram, Facebook API Updates, and other breaking social media news of the week! If you’re new to the show, click on the green “Watch replay” button below and sign in or register to watch our latest episode from Friday, August 3, 2018. You can also listen to the show as an audio podcast, found on iTunes/Apple Podcast, Android, Google Play, Stitcher, and RSS. Facebook Updates Video Metrics to Align with Viewing Patterns: Facebook updated its video ad metrics to focus more on the total amount of time a video is watched and remove redundancies in reporting. Noting that users have the ability to rewind and rewatch parts of video ads on Facebook, the company tweaked its video ad metrics such as three-second and ten-second video views will no longer include seconds that are rewatched after rewinding. In addition, Facebook is removing 30-second video view and video percentage watched metrics due to redundancy and adding a new “video plays” metric that offers a better way to measure when a person completely views a video auto-playing in the feed versus when someone merely sees an impression when a video ad is not played. Facebook Introduced Three New Ad Solutions for Gaming Marketers: Facebook rolled out three new ad solutions “designed to help gaming marketers connect with their most valuable players.” The new ad solutions for game developers and companies include playable ads, retention optimization, and a minimum return on ad spend (ROAS) bidding. Playable ads will be available to all advertisers using the app install objective for ads in Facebook News Feed, but retention optimization will be rolled out more broadly later this year and value optimization combined with minimum ROAS bidding will be available to advertisers in September on Facebook, Instagram, and Audience Network. 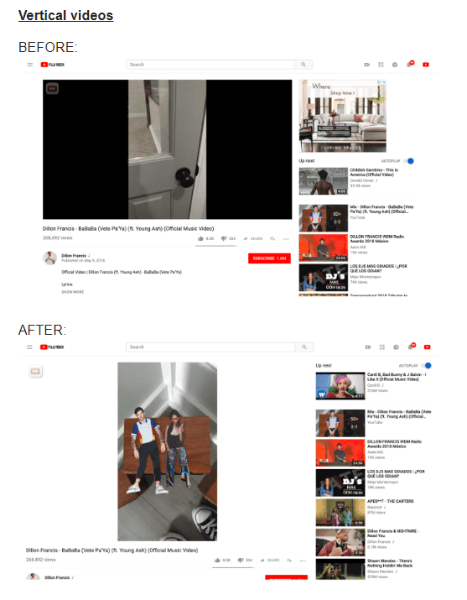 YouTube Improves Videos Viewed on Desktop: YouTube updated the way vertical, standard 16:9, and older 4:3 video formats are viewed on the desktop. The video player now automatically adapts to provide “the best viewing experience” based on the video’s aspect ratio and your computer’s screen and browser size. Previously, black bars would appear alongside 4:3, vertical, and square videos when shown on the desktop and impact the quality of the video. For the 16:9 aspect ratio, there were no black bars to eliminate, but YouTube is removing some white space to make the video larger. YouTube rolled out this update to its mobile apps for Android and iOS in March, so this desktop change aligns the desktop and mobile viewing experiences. 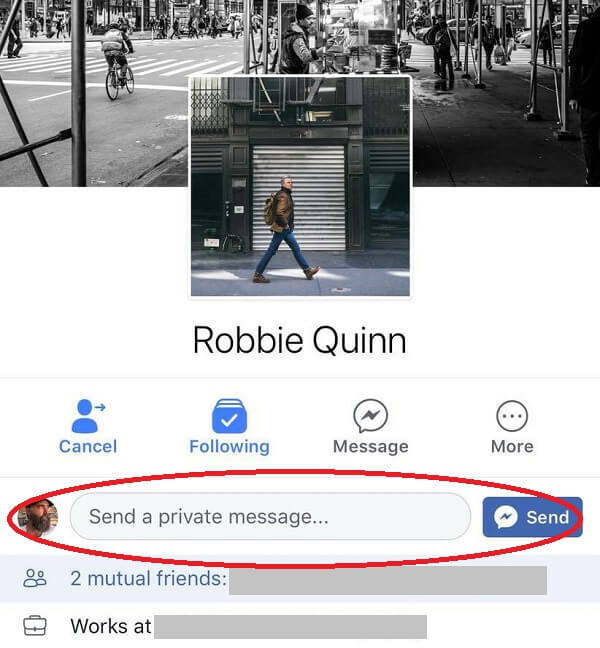 Facebook Adds Option to Send Private Messages with Friend Requests: Facebook appears to have added the option to send a private message along with a friend request. This new tool was spotted by Damian Ross from Social Media Examiner. 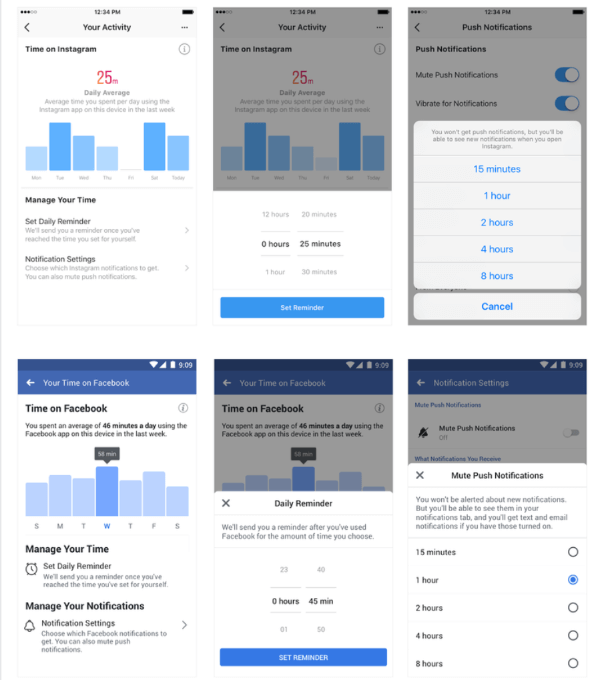 Facebook Restricts Third-Party Scheduled Posts on Personal Profiles and Shuts Access for Thousands of Inactive Apps: Facebook restricted the ability to use third-party apps to schedule posts on personal profiles. However, as Mari Smith notes in a reminder about this update, admins and moderators can continue to schedule content on Business Pages natively and through any third-party app. 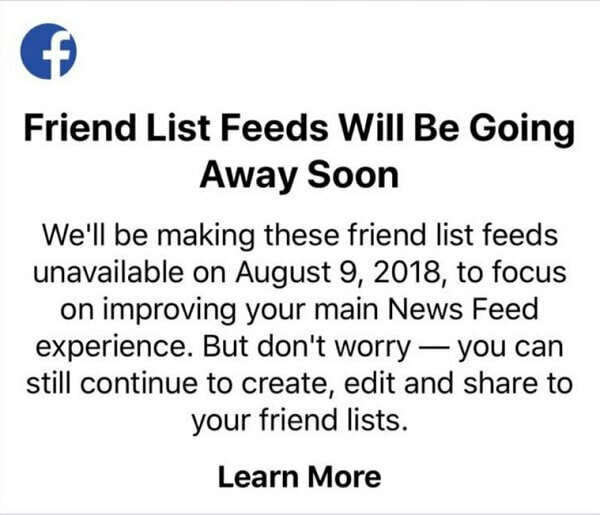 In a separate announcement, Facebook cut Facebook Platform API access for hundreds of thousands of inactive apps that have not been submitted for Facebook’s app review process. In May, the company warned that all existing apps using the API are required to have a comprehensive app review by August 1, 2018 in order to maintain approved status. This move was a reaction to a “heightened level of expectations… on [Facebook’s] commitment to transparency and giving people more control over how their data is shared” following data and privacy breaches. Developers that have not yet submitted their apps for review are encouraged to do so now. Apps that are currently in the queue for review or in the process of being reviewed will not lose their API access. Facebook No Longer Permits Cross-Posted Tweets: Twitter announced that users can no longer cross-post their tweet or retweets to Facebook as of August 1, 2018. This is due to a recent Facebook platform and policy update issued this past April. Twitter users will have to copy a tweet’s URL to share it to Facebook going forward or simply share their tweets outside of Twitter via SMS or email. WhatsApp Launches Business API: WhatsApp expanded its business tools with the launch of the WhatsApp Business API, which allows medium and large business to manage and send non-promotional messages to customers such as appointment reminders, shipping info, or event tickets, and more for a fixed rate. VentureBeat reports that businesses using the API will be able to respond to messages within 24 hours for free. All messages sent after that will come with a charged fee. The Business API is initially being offered to 90 companies including Uber, Booking.com, and KLM Airlines, but will gradually be available to more customers. WhatsApp is also announced that advertisers will soon be able to add click-to-chat button to a website or Facebook advertisements to allow people to quickly and easily message a business. 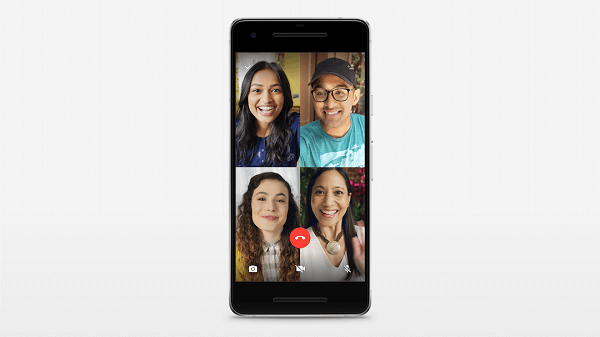 WhatsApp Rolls Out Video and Voice Group Calling: WhatsApp added group calling for up to four people using video and voice. WhatsApp guarantees that group calls are always end-to-end encrypted and will “work reliably around the world in different network conditions.” The feature is currently rolling out on the iPhone and Android versions of WhatsApp. Snapchat Launches First Speech Recognition Lenses: Snapchat rolled out a new type of Lens that respond to simple voice commands in English such as “hi,” “love,” “yes,” “no,” or”wow.” TechCrunch reports that five or six of these new lenses will be available to Snachat users within the next week. They can be found periodically in the Lens carousel along with the others, starting on August 1st. Snapchat Tests Sticker Packs Made By Creators: Last week, Snapchat launched a new Snapchat Storytellers Pilot Program, which promises to connect businesses and brands to the app’s five most popular content makers and influencers. This week, Snapchat appears to be testing creator-made sticker packs for the app as well. The first set of creator sticker pack came from Geir Ove Pederson, known as Geeohsnap, and was followed by Ketnipz, Harry Hambley’s popular cartoon. Digiday reports that sticker packs from Cyrene Quiamco (CyreneQ), Alex Richter, (decalex), Audrey Spencer,(cakes1todough1), and Mike Metzler (Metz044) are coming soon. LinkedIn Introduces a New Campaign Manager Reporting Interface: LinkedIn announced a redesigned reporting experience that makes it “easier to understand how your campaigns are performing and quickly optimize for better results.” The major enhancements of this update include new navigation tools, faster-loading data, improved search capabilities, and much more. These changes began rolling out this past week in Linkedin Campaign Manager. Twitter Outlines Community Guidelines for Live Video Chats on Periscope and Twitter: As part of its ongoing effort to “build a safer service,” Twitter is taking steps to ensure safety for both broadcasters and viewer participating in chats during live videos on both Twitter and Periscope. Twitter states that its Periscope Community Guidelines apply to live videos on both platforms. We’re committed to making sure everyone feels safe watching live video, whether you’re live or just tuning in. To foster safer conversation, we’re launching more aggressive enforcement of our policies. Facebook Offers Digital Skill Training to Small Businesses and Communities: Facebook has committed to training 1 million people and small business owners in digital skills across the US by 2020. To meet this goal, it is creating more in-person training programs, offering online classes, and partnering with local and national organizations who will help teach digital skills in their communities.